Max, Cat, Ant and Tiger are off to see the new Robo-Rex film. But little do they realize that Dr X has sent a giant size X-bot after them to get their special watches back. Find out what happens in Robot Rampage. Then find out if Max, Ant and Tiger can save Cat from the giant X-bot and defeat Dr X, in Battle of the Monster X-bot. 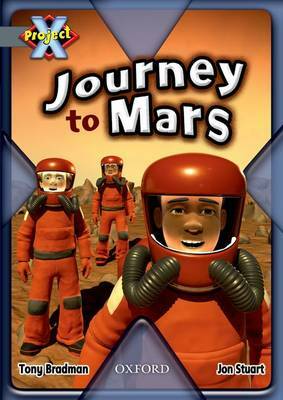 Find out what happens behind the scenes when the children go on a special visit to see Ant's Aunt at the Greenville museum, in Journey to Mars. Can they save the day? Take a look at some amazing stunts and find out how the stunt artists do it, in Spectacular Film Stunts. Then find out about what goes on behind the scenes with a coastguard recue, how chocolate is made, and much more, in How Do They Do That?. Each book comes with notes for parents that highlight ambitious words or concepts in the books, prompt questions and suggest a range of follow-up activities. The Behind the Scenes Guided Reading Notes provide step-by-step guided reading support for each book in the Behind the Scenes cluster, together with guidance about comprehension, assessment for learning and vocabulary enrichment. Hands-on follow-up activities, plenty of writing opportunities and cross-curricular links are also provided for each book.